Cable Diameter: 0. 75 sq. Mm to 10 sq. M.
We are amongst the reputed organizations, highly engaged in manufacturing an optimum quality range of Let Off Stand Coilers Machine. - Take -up shell work in torque controlled. In line with clients' diverse requirements, we are engaged in manufacturing an optimum quality range of Hose Coiler Machine. Bar Speeds Up To: 40 m/sec. 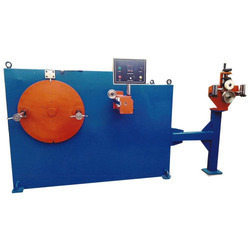 This Automatic Coiling Machine is for the fully automatic production of insulated wire coils of conductor size ranging from 0.5mm2 to 6mm2.Machine is PLC based and capable to manufacture 2.5 coils per mintue.Operation of the machine is very simple with the help of touch screen panel.More details can be furnised on your enquiry. 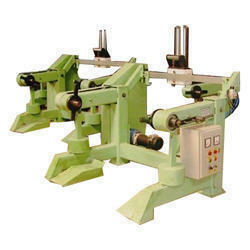 The SAI automatic coiling machine is designed to fulfill a wide variety of different coil with very simple operating process, our coiling machine is of a basic frame is electro welded steel that ensure a perfect base for the rest of the equipment.